Thousand Sunny. How would Sunny look as meer "real" ship... I wonder. HD Wallpaper and background images in the One Piece club tagged: thousand sunny thousand sunny one piece. 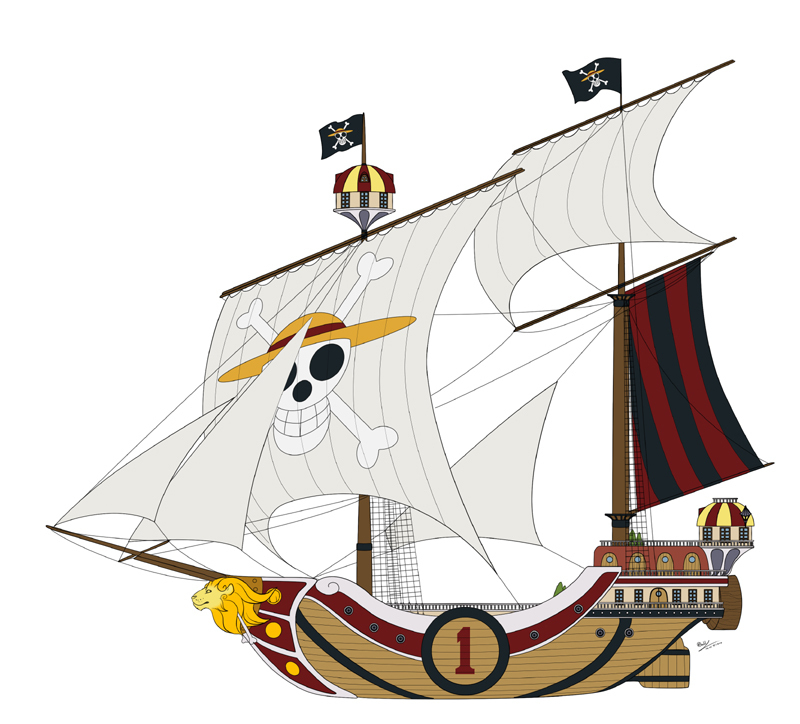 This One Piece fan art might contain schors, bark, bast, barque, brik, brig, square rigger, and vierkante rigger.